Mexico City has been fantastic I have seen, learnt and experienced a lot. However, last night I felt ready to leave the busy, fast paced, manic city and explore some more tranquil, remote areas. On a quest in doing so I thought I would make my way to Oaxaca. I was hoping to have met some others with a similar goal but have yet to find them. However, this did not spur me, I had a Google and worked out how to do it alone. I set off this morning with my huge rucksack on my back and my day pack on my front (a proper tourist /explorer /traveler). I walked some time to the bus stop the receptionist advised me to find and was greeted with a load of people waiting, so I joined them. When the bus finally arrived it was crammed, I made my way on and asked if it went to the bus station and of course it did not. The bus driver said I needed the metro. I asked one of the many police officers too who pointed me to another bus stop a walk away. I ended up just finding a metro station on the way and took that instead. People on the metro were much more helpful. Before long I made it in one piece. The highlight of my journey was getting through the barriers, for some reason I thought it would be a good idea to keep both bags on and rampage through. They were the spinning barriers from the floor to the ceiling, which enclose your entire body. I just about fit in the gap moved half way then got trapped two ladies had to push me through. It was comical. I must have looked hilarious to the onlooker. These things always seem to happen to me. Fran will gladly retell the story of when I got stuck in the Paris metro barriers. Nonetheless, I got on the bus and had a comfortable journey to Oaxaca. Passing some beautiful scenes, mountains, trees cactuses and more suburbs. I made it to the hostel and was delighted to find that my dorm room for 10 was unoccupied. 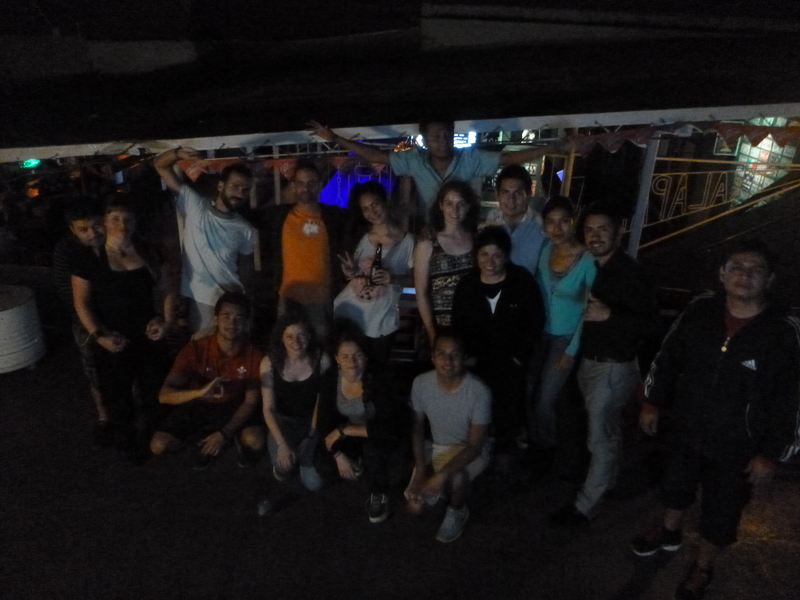 I met several other solo female travelers, we went for tacos and to a free salsa class in a local bar. The lesson was in Spanish but I managed to follow along. The steps were fairly tricky but once into the swing of it – lots of fun.